The book of the Revelation of Jesus Christ is a fascinating prophecy of the end times. These are the things that will happen in the future. There are some things in the book that may be difficult to understand; however, in the future every bit of it will come to pass. God’s Word is just as true in its prophecies as it is in its history. Some of these questions are difficult, but all the answers can be found in the text of the Bible. 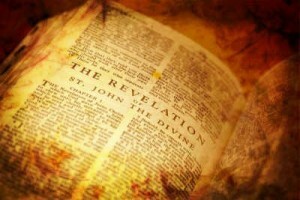 1. Who wrote the book of the Revelation? 2. What island was he on when he wrote the book? 3. To whom was the book addressed? 4. When Jesus first appears in the book He is said to have what items in his hand and mouth? 5. Can you say, in order of appearance, the towns where the seven churches from Revelation chapters 2 and 3 were located? Alphabetically they are: Ephesus, Laodicea, Sardis, Smyrna, Thyatira, Pergamos, Philadelphia. 6. Which church is said to have left its first love? 7. How many elders sat around the throne in Heaven? 8. There were four beasts around the throne. What were they like? 9. Who said, “Holy, holy, holy, Lord God Almighty, which was, and is, and is to come” night and day around the throne? 10. How many seals were on the “book” or scroll that God held ready to be opened? When Jesus first appears in the book He is said to have what items in his hand and mouth? 11. What color were the four horses from the first four seals? Can you name them in order? 12. One of the horsemen had a name. It was Death. Which color horse did he ride? 13. How many witnesses were sealed as servants for God? 14. What was the name of the star that fell on the waters which made them bitter? 15. What did John do with the little book that was given to him by the angel? 16. A great wonder appeared in heaven. It was a woman clothed with the sun. What was her crown made from? 17. How long was the dragon bound in the pit? 18. Those whose names were not written in the Book of Life were cast where? 19. The city which descended as a bride prepared for her husband was named what? 20. What were the gates in the new city made from? 5. 1. Ephesus, 2. Smyrna, 3. Pergamos, 4. Thyatira, 5. Sardis, 6. Philadelphia and 7. Laodicea. Revelation 1:11 and chapters 2 and 3. 11. White, Revelation 6:2. Red, Revelation 6:4. Black, Revelation 6:5. Pale, Revelation 6:8. Do you have any favorite trivia or quiz questions from the book? Please leave a comment with your question for others to read. Thank you for this quiz revealing how little I know about the book of Revelation. (ha…ha) Seriously, I appreciate quizes like this that motivate me to learn some things I might have been avoiding. God bless you, David. Bible verses where you can look it up…etc. and rememorising, but I think (it’s only my opinion), that it would be a little more exciting if we were to look up the answers ourselves. Like, put at the end of the questions the Bible verse where to look it up. one of you/us in Jesus’ wonderful Name. Thank you. Your study let’s me to continue to learn about myself and what I need to do to be in Christ.